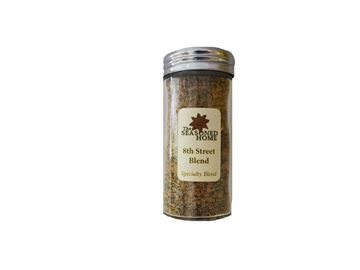 Try our Specialty Blend seasonings in a convenient shaker lid jar! The average weight overall in the jars is over 2 ounces. It's a great way to store your favorite blends in your cabinet, near the grill, or out on the table. 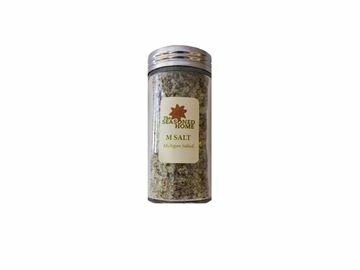 The bottle is glass and it has a removable shaker insert, with a stainless steel lid. Each jar comes with an informational cardstock listing suggestions as well as ingredients.